Some animals must migrate to reproduce. Pacific salmon migrate thousands of kilometres to spawn - an epic journey which ends in death. 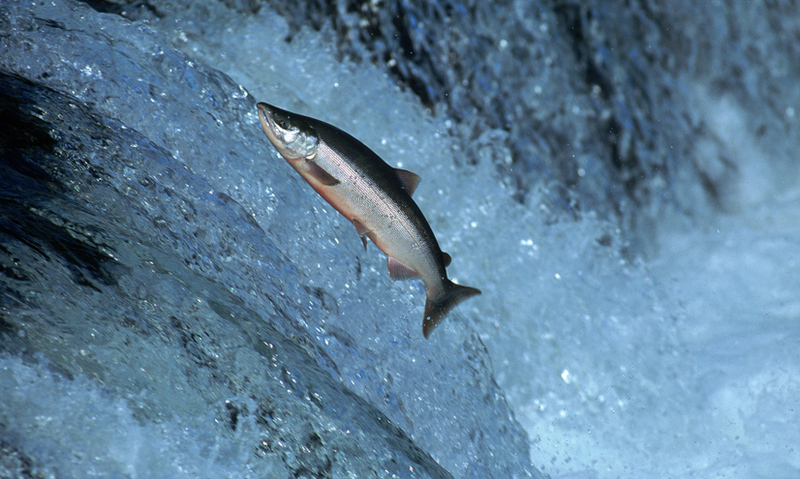 Pacific salmon migrate thousands of miles to reproduce. Their eggs can only survive in fresh water. They journey from the sea upstream to spawning grounds. They face being eaten by bears and stuck in shallow waters. Pacific Salmon spend their life at sea. But as four-year-old adults, they migrate to the same freshwater river where they were born, to reproduce. This is their dying act. Pacific Salmon live in salt water. Salmon eggs can only survive in fresh water. This species must migrate to reproduce.